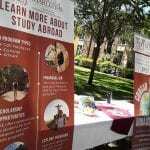 Global Ambassadors is an academic enhancement program offering mentoring, extracurricular and international experiential learning designed for students interested in careers in international service organizations, including the Foreign Service. 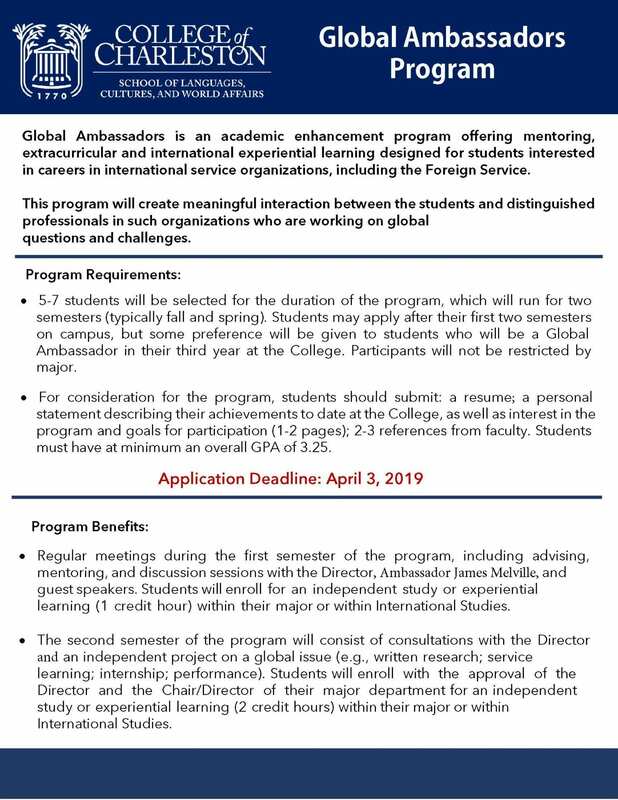 This program will create meaningful interaction between the students and distinguished professionals in such organizations who are working on global questions and challenges. The program will be directed by Ambassador Jim Melville, the Associate Dean of International and Community Outreach for LCWA. 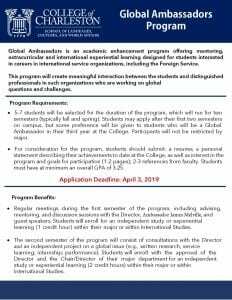 He will meet regularly with the students and create appropriate learning opportunities, such as presenting materials appropriate for an introduction to the career interest, setting up and participating in advising and discussion sessions, arranging interactions with other eminent professionals, and assisting the student-ambassadors in executing projects on a global challenge. Applications are due April 3. 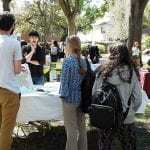 A double major in German and French with minors in Portuguese and Brazilian Studies and German Studies (’19), George Gabriel is also a Portuguese peer instructor in the Department of Hispanic Studies, an organizer for the German conversation group (Stammtisch), and he was treasurer for both the French Club (2016) and Portuguese Club (2018). 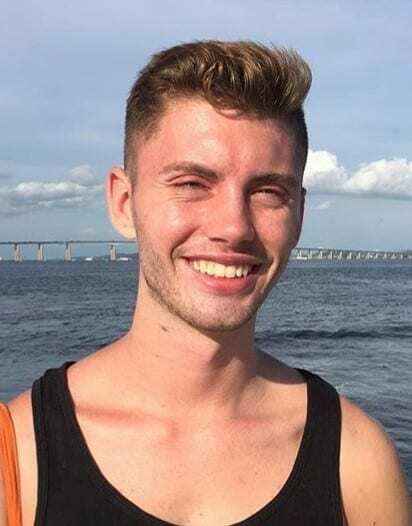 He also studied a semester abroad at the Universidade do Sul de Santa Catarina in Florinaopolis, Brazil (2017), he was awarded a scholarship to study Polish at the Universitaet Viadrina in Frankfurt an der Oder, Germany in 2016, and he is a recipient of a Huguenot Scholarship from the Charleston Huguenot Society. George has interned in both Brazil (2017) and France (2018), and he is currently a translator for Mercedes-Benz. After graduating from the College of Charleston, I intend to continue constructing a career as an inspiring translator and plan to work for a European institution such as the Translation Centre for the Bodies of the European Union in Luxembourg. 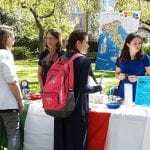 As I desire to utilize my knowledge of German and French in addition to Portuguese and Spanish, the European Union functions as an ideal relocation due to its linguistic diversity and constant need for trained, talented translators and interpreters. I currently work as a contracted German-to-English translator at Mercedes-Benz Vans in Ladson, South Carolina, therefore I have the most translation experience in German, but I have researched professionally oriented masters degrees in conference interpretation and translation at the University of Applied Sciences in Zurich, Switzerland, which offers the possibility to become certified translating and interpreting from three languages into a desired target language. I aspire to undertake this program to receive professional training in German, French, Portuguese-to-English conference translation and interpretation to achieve my future career goal of becoming a translator / interpreter certified to work in the EU. 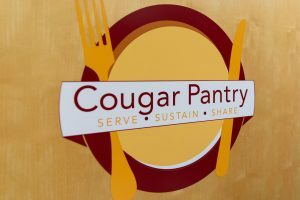 Student Megan Stover, a double major in Spanish and public health, pushed for nearly two years to open a campus food pantry after a class project tasked her with creating a plan to make a difference on campus. Check out the full article in The College Today! 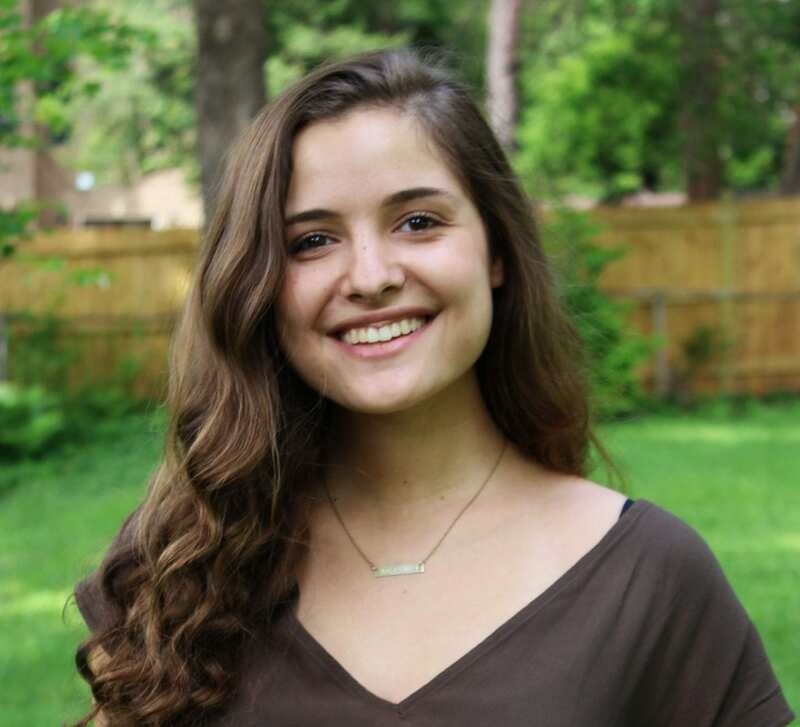 Alexandra Helfgott, a double major in Spanish and Political Science (’19), is a Swanson Scholar and a William Aiken Fellow in the Honors College where she has served as an Honors Engaged Liaison for Trident Literacy Association and St. Matthew’s English as a Second Language. 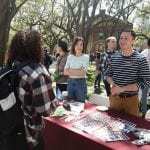 On campus she is a Spanish conversation peer teacher; a voting member of the College of Charleston’s Honor Board (2016-present); and past President (2017-18), Chief of Staff (2016-17) and Freshman Senator (2015-16) of the Student Government Association. In 2018 she was named Outstanding Student of the Year for the School of Humanities and Social Sciences, and she was also inducted into the College of Charleston’s Hall of Leaders. 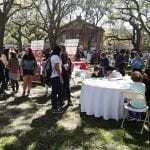 Beyond campus, she spent the fall 2018 semester studying abroad in Buenos Aires, Argentina, and she serves as a medical interpreter with the Asociación Latina de Servicos and the Costa Layman Farms Health Fair in Augusta, Georgia, both of which enable the provision of healthcare services for undocumented, uninsured, and low-income Latinx patients. My time in Hispanic Studies has been so impactful and the meaningful relationships I’ve developed with professors have proven to be invaluable. I will forever be grateful for their support and encouragement throughout the last four years. Upon graduating, I plan to pursue a joint JD/MPP to work in migrant labor policy where I can employ the skills and knowledge I’ve gained from both my Political Science and Spanish coursework. With the support of my Hispanic Studies faculty and positive experiences within the major, I feel confident in my Spanish skills and look forward to continuing the next chapter my professional life while also pursuing the goal of increased proficiency in Spanish. 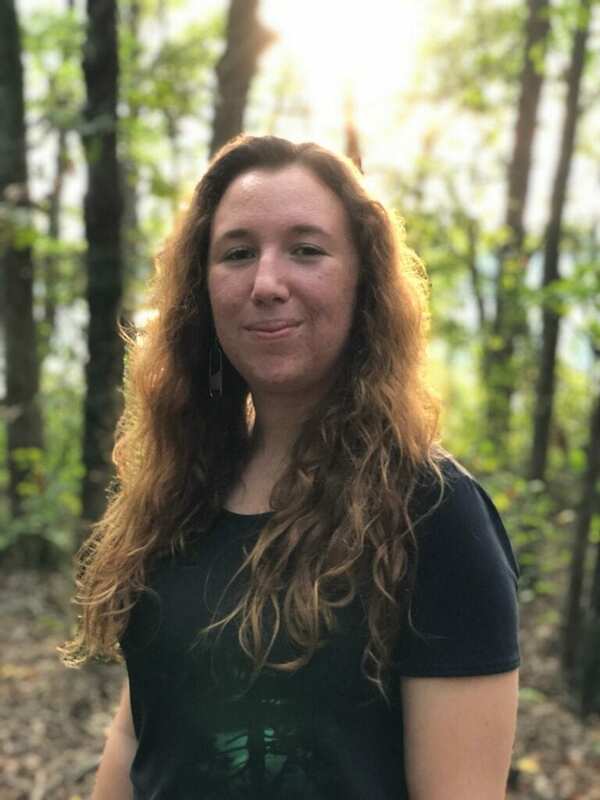 Madi Crow, a double major in Spanish and International Studies with a Latin American & Caribbean Studies Concentration and a minor in Linguistics (’20), is a William Aiken Fellow and International Scholar of the Honors College where she also served as a peer facilitator in 2017. 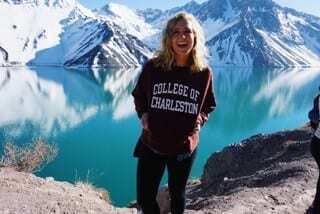 Among her various international academic trips, she studied abroad in Latin America for two semesters: in Buenos Aires, Argentina in spring 2018, and in the College of Charleston’s program in Santiago, Chile in fall 2018. 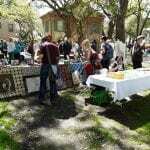 She is also a past volunteer for Charleston Hope (2016-17), a former mentor of Loving America Street (2016-17), a past delegate for the Model Organization of the American States (2017), and a former Cougar Ambassador (2017), among other activities. Over the past three and a half months, I had the incredible opportunity to live in Santiago, Chile, a city unlike any other I had ever experienced! 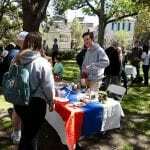 Chilean Spanish, as I quickly learned, is a completely different language, and I loved the challenge of getting a handle on the thousands of “chilenismos.” My family was absolutely my favorite part of my experience. I lived with my host mom, host dad, and two host brothers; I spent just about every day with them whether that be at the dinner table or on the patio playing soccer. I got to know incredible Chilean friends who greatly improved my Spanish. Not to mention, I grew close with the spectacular group of brilliant girls in Santiago with me, and we were lucky enough to travel all over the wondrous country of Chile, seeing everything from Patagonia to the Atacama Desert (the driest in the world!). We even took a trip with the marvelous Dr. Sobiesuo to Peru. 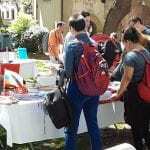 I took courses through a local university, and I was able to complete an Independent Study with Dr. Del Mastro on Contemporary Feminism in Chile through which I actually met and interviewed a Chilean feminist novelist. Throughout my time in Santiago, I not only broadened my understanding of the language but also of the country, the region and the world. I am so thankful for the many challenges and exciting opportunities I faced over the past semester, and I cannot wait to see where I will go next! 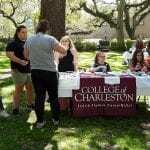 As a freshman coming into the College of Charleston, I knew I wanted to develop my Spanish skills and learn more about the Latin American world. Three years later, I have completed two semesters abroad in the distinctive and beautiful cities of Buenos Aires and Santiago, taking fascinating courses and working directly with the Hispanic Studies’ faculty. Not only was I able to use my Spanish major to develop my skills abroad but also at home. 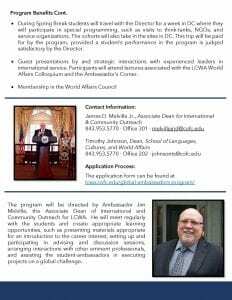 I have had the incredible support of the outstanding Hispanic Studies Department who have made this dream a reality and will continue to help me develop my skills as a scholar and global citizen. 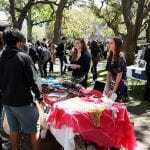 I look forward to getting back on campus and getting involved in the Hispanic community in the Charleston area as well. 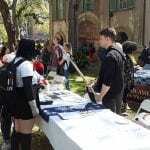 As far as my future is concerned, I am looking into many options including graduate school and research, and I know my time at the College through my unique opportunities will most certainly open many doors. I am not sure exactly where the next couple years will take me, but I am so thankful I have the support of the Hispanic Studies’ faculty! 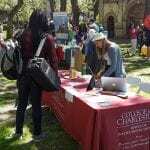 Alexandra Mielcarek, a double major in Spanish and Public Health (’20), is a student of the Honors College where she serves as an Honors Engaged Liaison since August 2017. 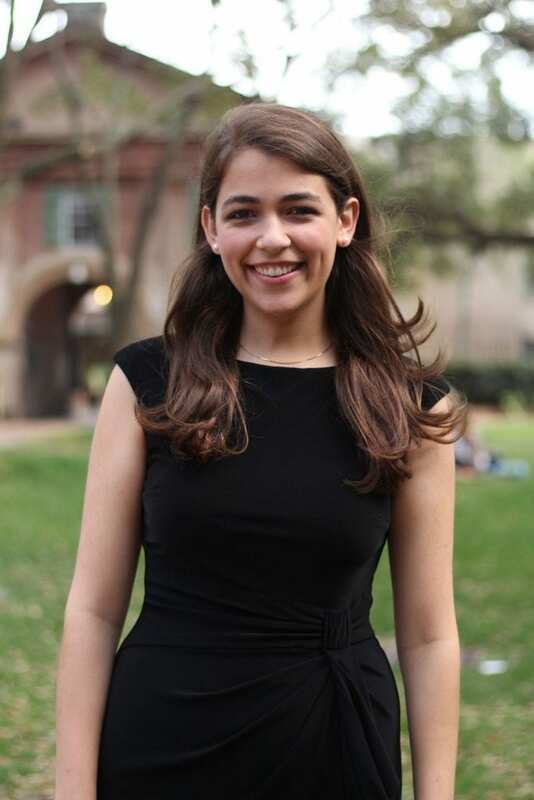 She is currently Vice President of the Public Health Society Executive Board and its past Treasurer and Public Relations Chair, and she is also a member of the National Collegiate Hispanic Honor Society, Photographer and Strategist for The Rival at CofC, and an Intern with the Women’s Health Research Team, among other activities. Majoring in Spanish has allowed me to pursue one of my core passions: achieving a more complete understanding of others. 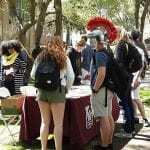 CofC’s Spanish courses not only teach you how to communicate effectively with Spanish speakers, but I have also found cultural and historical insights throughout each class (even when learning how to write). 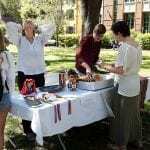 The best thing about CofC compared to other universities is that CofC has some of the most dedicated professors, each of whom is so passionate about their subject(s) and students that they make the effort to ensure every student has a complete understanding of the material. After graduating from CofC, I will take this knowledge with me into my Masters of Public Health in Sociomedical Sciences where I will include Spanish-speaking populations in my research and outreach, hopefully impacting the health of communities by increasing understanding. Check out some of the exciting things that have been happening in Hispanic Studies! Dr. Jorge Rueda, Professor of the Department of Linguistics & Literature, from the University of Santiago, Chile, conducted a live video conference from South America to a public of College of Charleston’s students and faculty titled “Andean Worlds: Inclusive Coexistence as Social Justice” within the Global Connections Series. 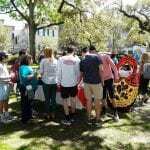 College of Charleston First Year Experience students participated in the Second CofC Spanish Omelet Contest organized by Dr. Antonio Pérez-Núñez and Prof. Devon Hanahan. Julie King, a 2013 College of Charleston graduate and Contractor of the Inter-American Drug Abuse Control Commission Organization of American States, presented her lecture “The Only Gringa in the Room: Working Bilingually at the OAS” during the Hispanic Career Series at the College of Charleston. Danya Firestone, a double major in Spanish and Foreign Language Education with minors in Linguistics and Anthropology ’19, is also the Linguistics Club President, Honors College Sustainability and Social Justice Cohort Senior Mentor, and an Honors College Student Ambassador. 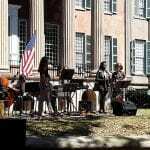 In addition, Danya is an active member of the Chucktown Trippintones A Cappella group, Otro Sur (the Latin American Music Ensemble), the Jewish Student Union, and the Honors College Scholar-Citizen Initiative. 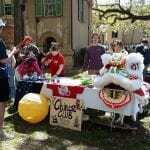 Despite these numerous activities, she also finds time to collaborate with the Make-A-Wish Foundation of South Carolina as a bilingual translator and wish granting volunteer. 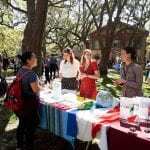 My experience as a student in the Hispanic Studies department has served an integral role in giving me an amazing experience at CofC. This department is a tight-knit community bonded by a love for the Spanish language, Latinx culture, and Latinx people. 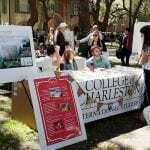 Hispanic studies professors really care about their students’ individual success and interests, and the department offers tons of opportunities to get involved with the Spanish-speaking population of Charleston. Because of the department’s connections, I have become involved with the Make-A-Wish Foundation as a bilingual translator and wish granter for the South Carolina chapter of the organization, and a summer intern for the Mid-Atlantic chapter in Washington, D.C. Because of the Hispanic Studies department’s curriculum and faculty, which emphasize culture and linguistics in addition to literature, I was able to find my passion for Spanish and English linguistics, and I plan to apply to graduate school for that next year, in pursuit of graduate studies that will lead me to one day become a professor. 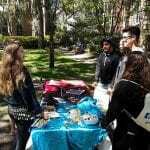 In my final year, I am serving as the Linguistics club president, active in the Spanish club, teaching undergraduate Spanish conversation classes, and bringing a renowned linguist that researches Latinx communities, Dr. Ana Celia Zentella, to campus in October to talk about language discrimination practices. I look forward to what comes after graduation, and know that I have the community of the Hispanic Studies faculty and students supporting me! 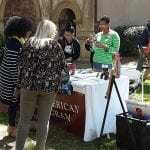 The African American Studies Study Abroad Program began in 2012 with Roneka Matheny. During the Maymester, she took a group of students to the island of Barbados. The following academic year, I was asked to continue the program. Instead of organizing a subsequent trip in the summer of 2013, with the assistance of Mary Battle, I had the pleasure of taking a planning trip to Barbados. Prior to my travels, Mary Battle connected me with Rhoda Green, the Honorary Barbados Consul to South Carolina who resides in Charleston, SC. 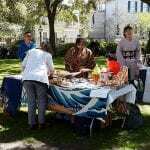 She provided me with significant information on the history of the connectedness between Charleston and Barbados, along with providing me the names of several individuals to contact and plan to meet while in Barbados. As I embarked to Barbados, I had the privilege of meeting with several stakeholders who were vested in seeing the program continue as it did in 2012. I met with Janet Caroo, Marketing Officer and Regional Student Development at UWI-Cavehill, and Kevin Farmer, Deputy Director of the Barbados Museum & Historical Society. This planning session provided us the opportunity to work out details for the study abroad trip (e.g., costs; classroom space; dorm space; tours, etc.). Upon my return to Charleston, Dr. Conseula Francis and I created a planning committee that included the relaunching of the trip for the summer of 2014. 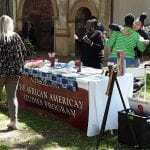 During the 2013-2014 academic year, we actively promoted the trip through the Center for International Education, along with emails to the African American Studies minors as well as other students enrolled in our classes. 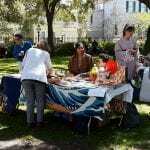 We billed the program as a bridge to Rhoda Green’s Carolina-Barbados Foundation, by highlighting the social, economic, political, and cultural link between Charleston and Barbados. Barbados has a unique cultural history with the low country. From the plantation life to architecture, there are relics of historic Charleston that owes its existence to Barbados. 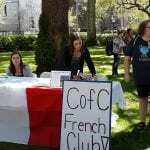 Our recruitment efforts resulted in securing ten CofC students for the three-week study abroad trip. 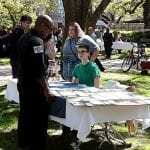 The program was organized into two sections. 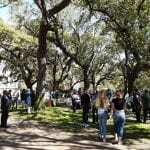 The first week students remained in Charleston, SC exploring the local history of Charleston, and its link to Barbados, by visiting Charlestowne Landing and Magnolia Plantation. Students also had an opportunity to meet with Mrs. Rhoda Green, who provided an in-depth history of the Carolinas-Barbados connection. The remaining two weeks were spent in Barbados where students took 6-credit hours (Comparative Black Identity; Blackface in the Global Imaginary); participated in several island tours exploring the local history (e.g., Barbados Museum of History; Mount Gay Rum Tours; St. Nicholas Abbey; Speighstown; walking tour of historic Bridgetown). 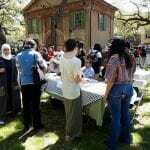 Additionally, students were also able to explore the island as a group, void of professor oversight. During this time, students were able to shop, meet and interact with the locals, and connect classroom course information with the physical, tangible world of Barbados. As an assignment, students were required to make daily posts on a created blog to chronicle their group outings and adventures. The videos below are examples of our experiences on the beautiful island of Barbados. In the upcoming academic year, Roneka Matheny plans to relaunch the AAST Study Abroad program. 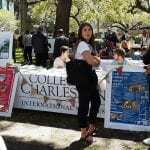 She plans to create a broader, more comprehensive program where students would spend two weeks in Charleston, again exploring the cultural and historical links to the Caribbean; two weeks in Barbados; and two weeks in Jamaica. 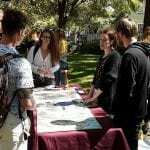 Although course proposals are in the preliminary stages, the two purported courses would focus on the use of music as a form of social protest (e.g., Bob Marley) and on the shared Trans-Atlantic Slave Trade History.